The first thing you're going to need to do is print out the template, which can be found here. We've printed ours on some card stock (thicker paper) but any paper thickness will do. 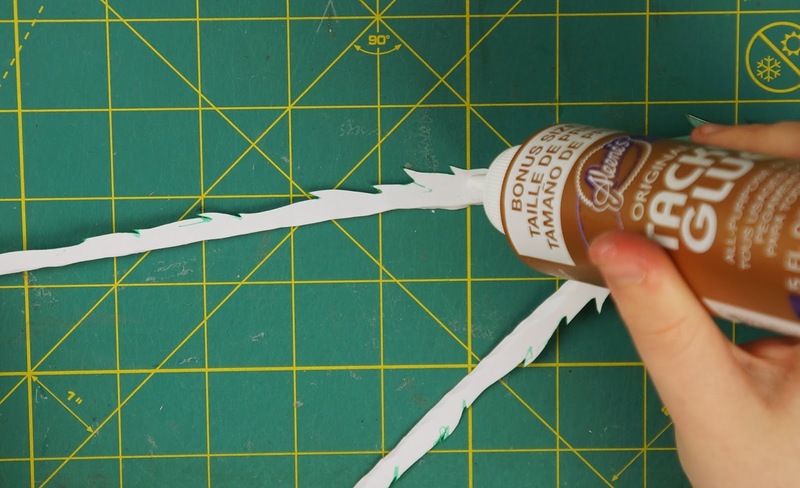 Obviously the thicker your paper the sturdier your ornament will be. 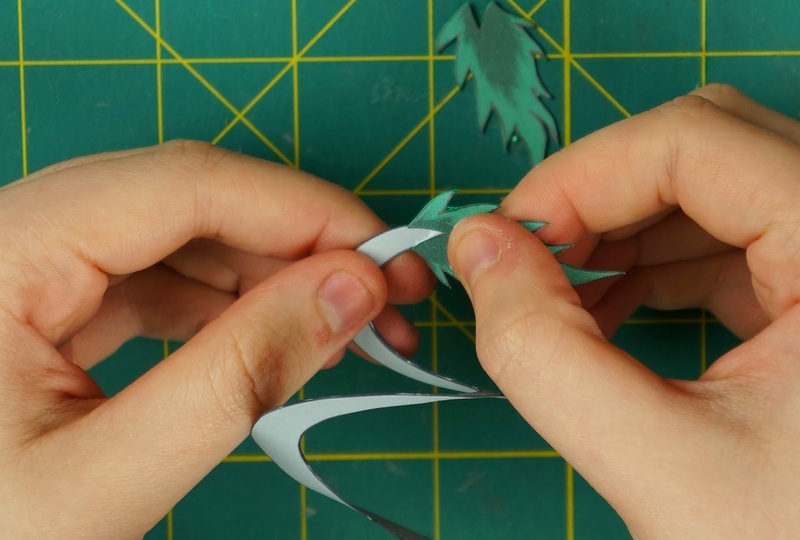 Once you have the template printed out, go ahead and cut out all of the pieces on the first page. 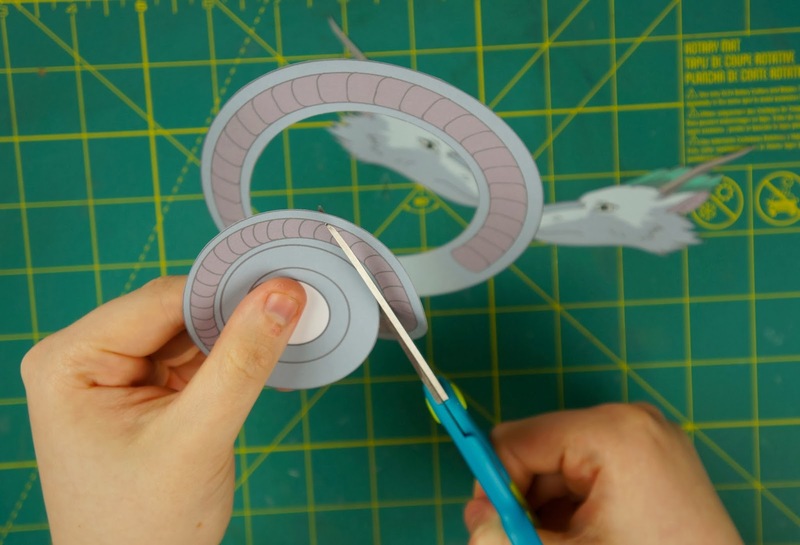 Make sure that you also cut the circular pieces into spirals. Take your two spiral pieces and line them up with one another, you want the coloured sides to face outward. 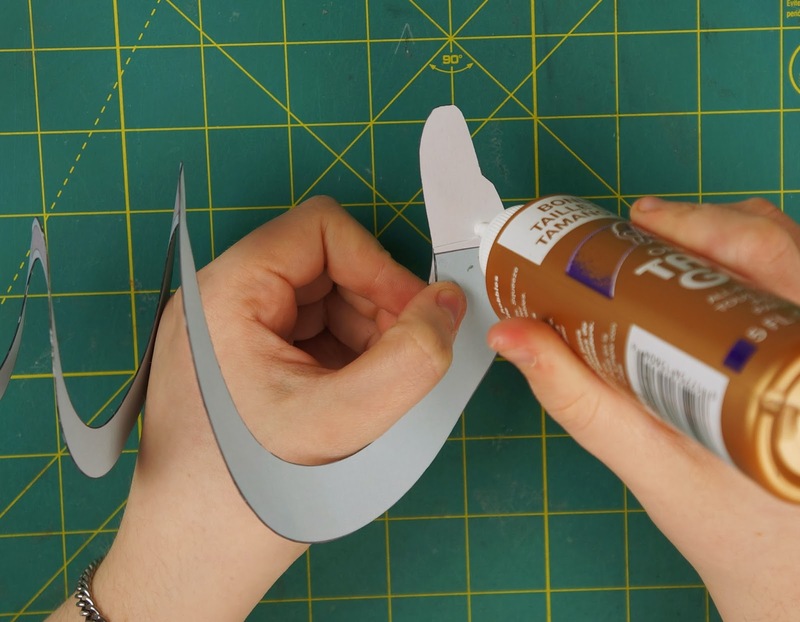 Then glue them together, start at one end and make your way to the opposite end. After they're glued together you might want to go back and trim any excess that might hang over. 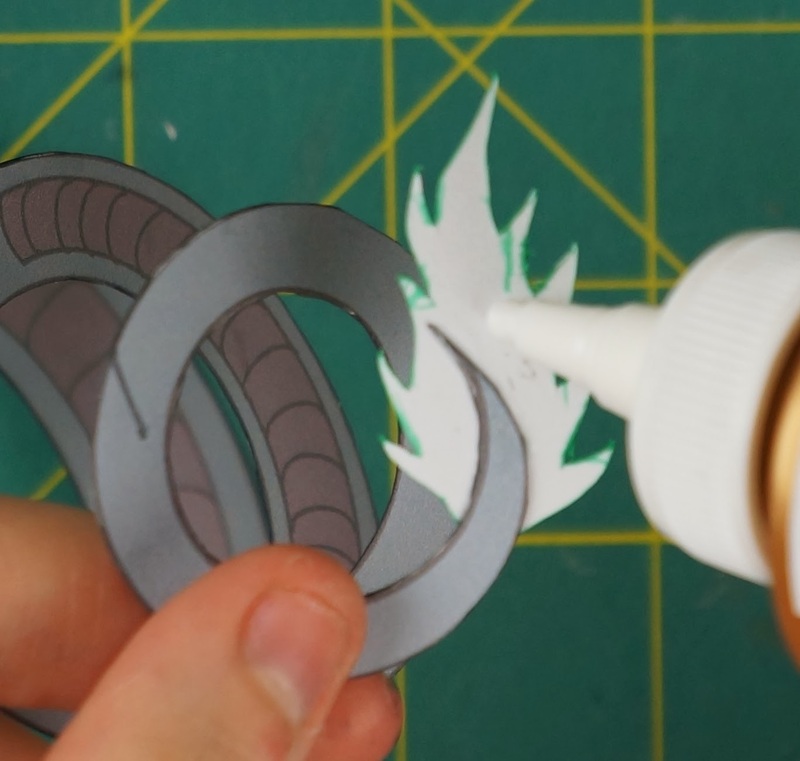 Then you can go over the edges with a marker in a corresponding colour to get rid of any white edges, this will make the ornament neater looking, especially if you are using thicker paper. 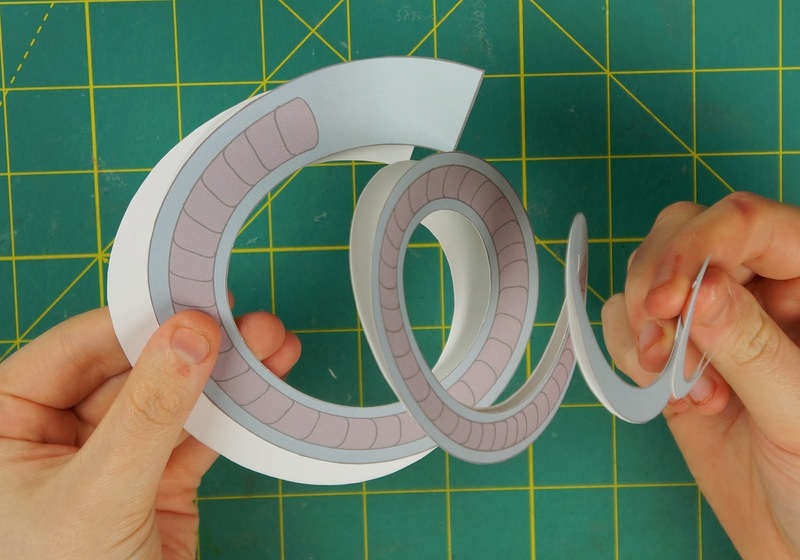 Hold your spiral at either end and gently pull to loosen the coil. 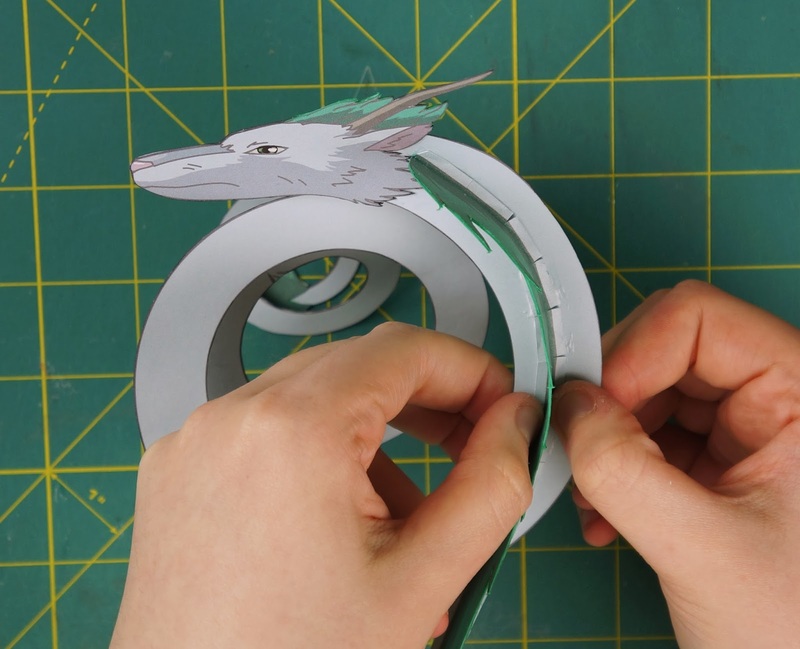 Then bend back the end of the larger end of the spiral so that it's straight. Bend it back just before the stomach scales start. Put some glue at the end of the spiral and glue one of the face pieces on. 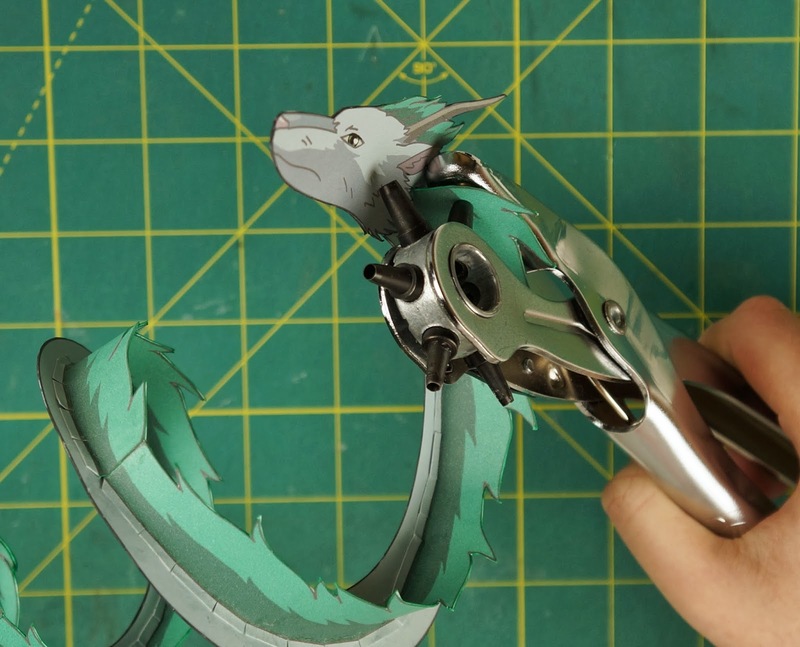 Make sure to line up the bottom of the mane with the side edge of the spiral. Then line up and attach the other face piece to the other side and to the back of the already attached face piece. 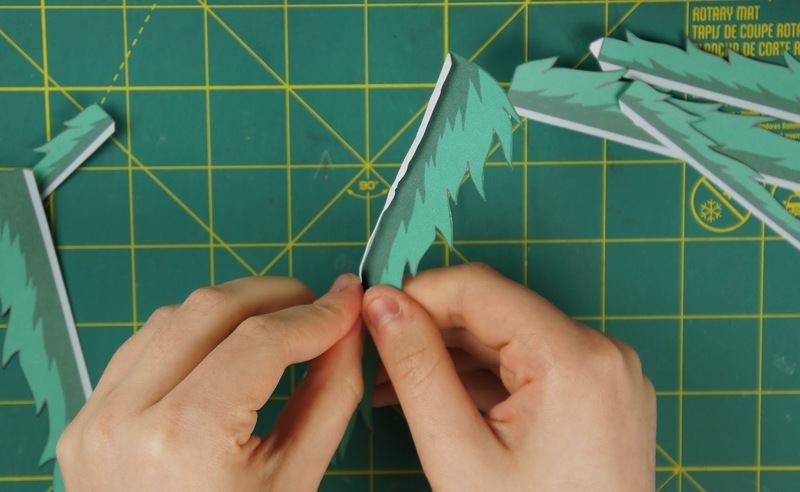 Then you can trim any excess if needed, and go along the edges with makers. Now cut out all of page 2, the rest of the pieces. Make sure not to cut off the light blueish strip at the bottom of the mane pieces. Then again, if you want you can go along the edges of the pieces with a marker. 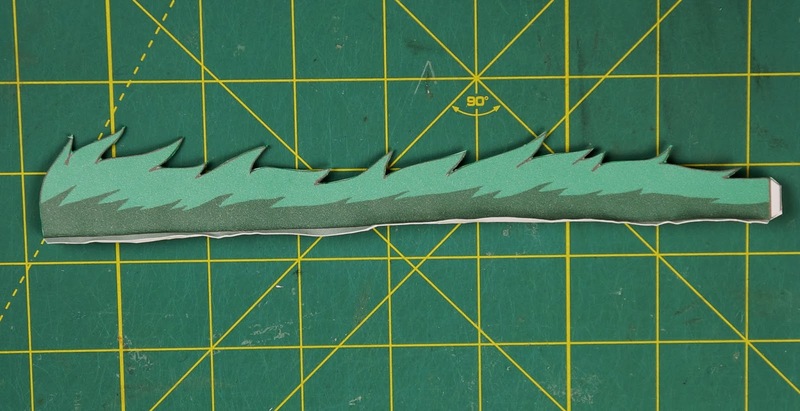 Start off with the tail pieces, you want to glue the mane tail piece to the side thats curving the same way. 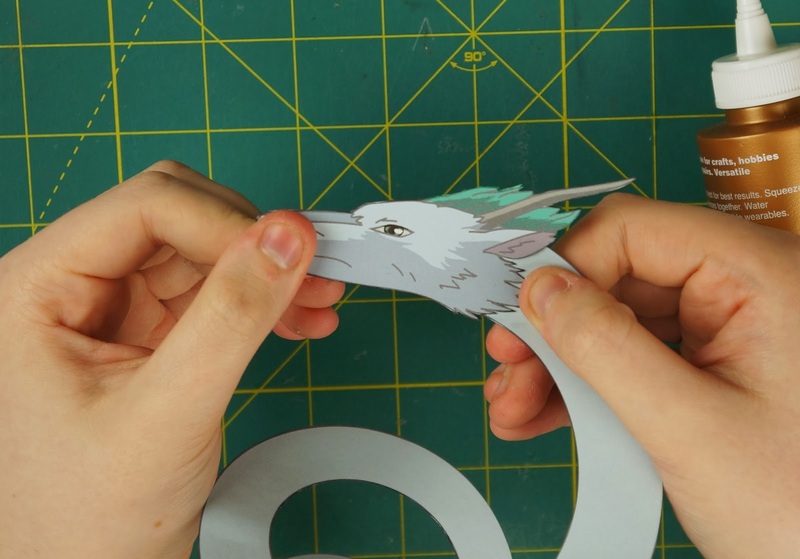 Line it up so that the triangle cut out on the tail mane lines up to the edges of the tail spiral, then glue it on to the end. Do the same for the other tail mane piece on the other side. 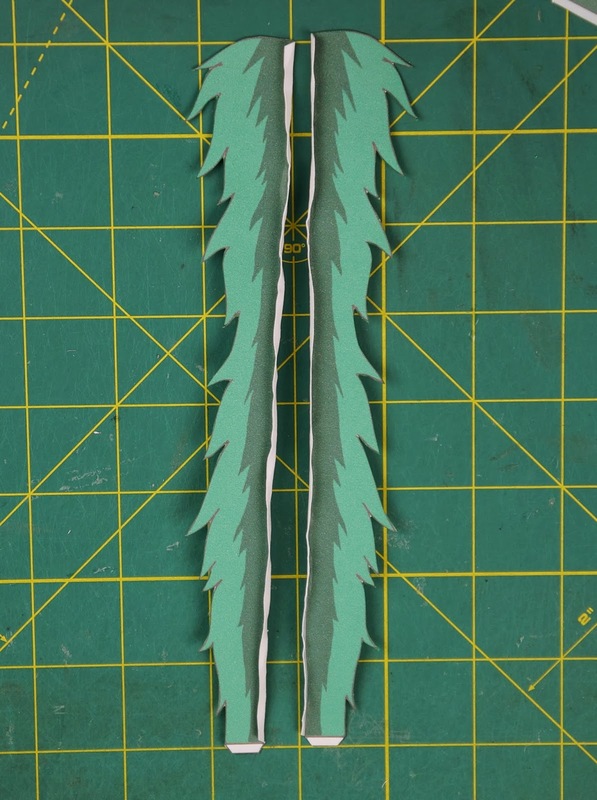 Now take the largest pieces of the main (they're the ones that are curved at one end and have a tab on the other) and fold the light blue strip at the bottom back (fold it towards the coloured part of the mane). 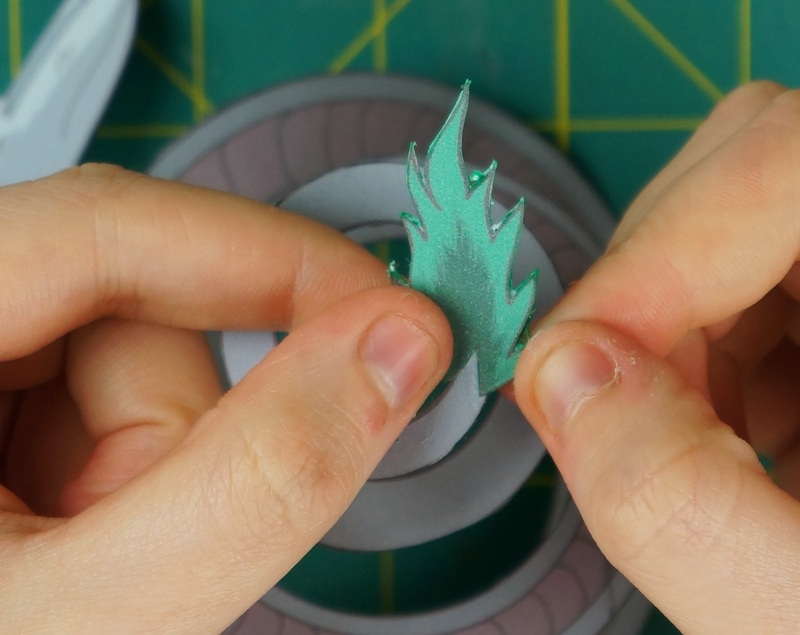 Do the same for both pieces, then glue them onto one another, back to back so that the coloured side faces outward. Don't glue the light blue strips together though. 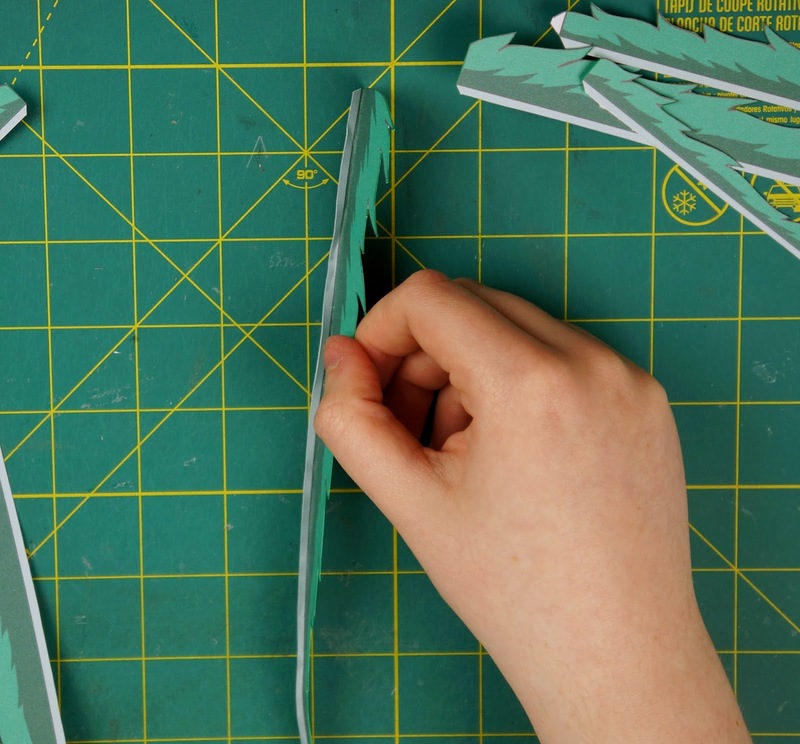 Fold the medium sized mane pieces the same way as the larger ones. Then put some glue on one of the tabs at the end of the larger pieces and glue the medium size piece for the same side to it. 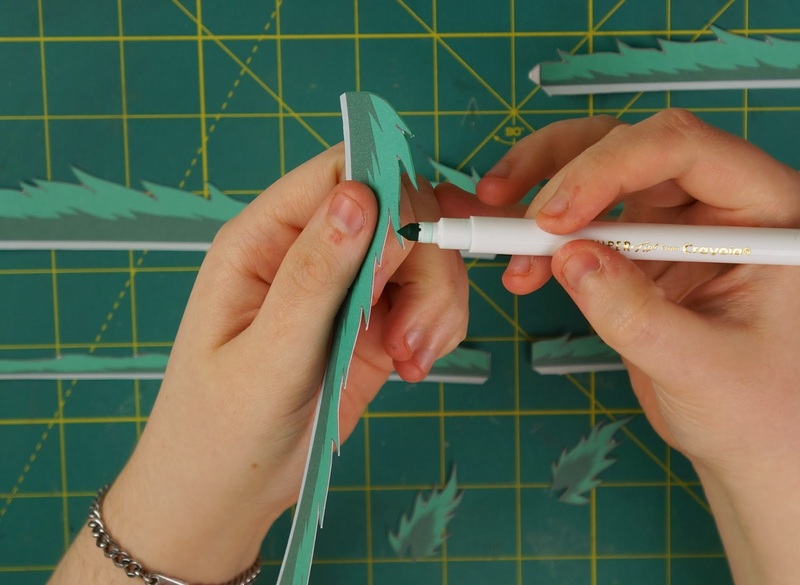 Then glue the other medium piece to the other side, again, make sure not to glue the light blue strips together. 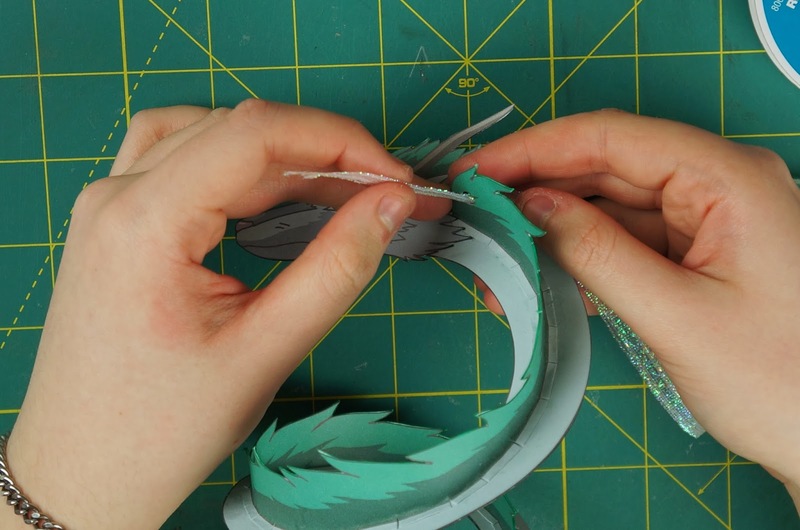 Fold the light blue strips on the last 2 mane pieces (the smallest) the same way as the other ones. Then glue those to the tabs on the medium mane pieces and then to one another. 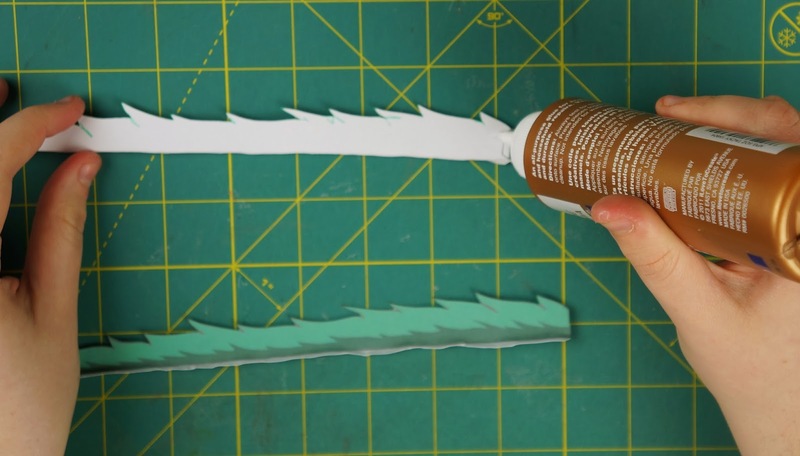 When you have the mane all glued together, start making slits along the light blue strips on either side of the mane. 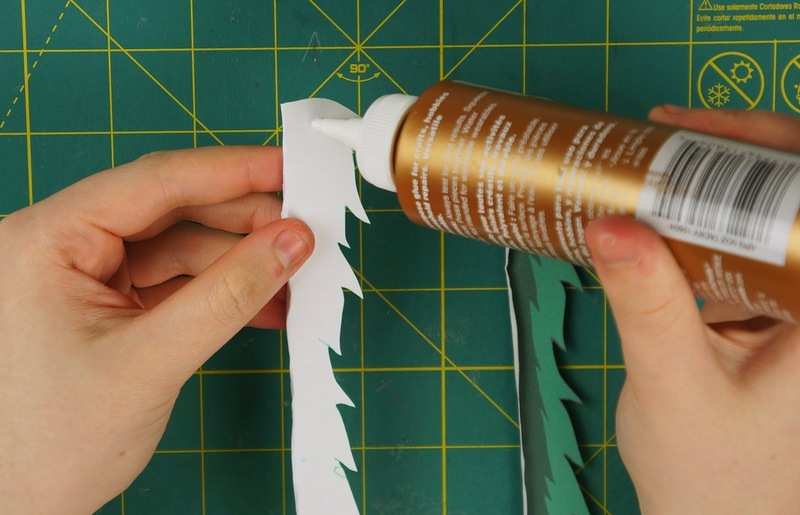 Cut the slits closer together as you get closer to the smaller end of the mane. Now it's time to glue the mane to the body. 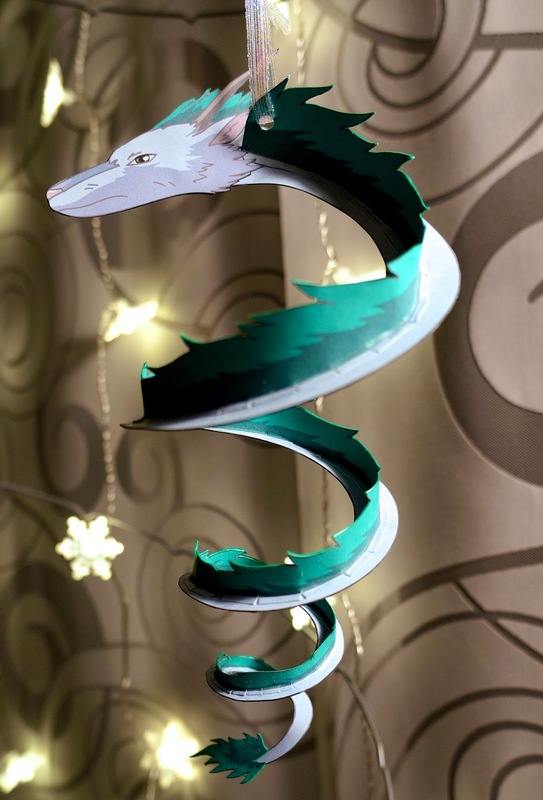 Put some glue down the center of Haku's back (the plain side of the spiral) and glue the slitted light blue strips to the body. It's easier if you work in sections so don't try and glue it all down at once. Work your way around the spiral until you run out of mane. 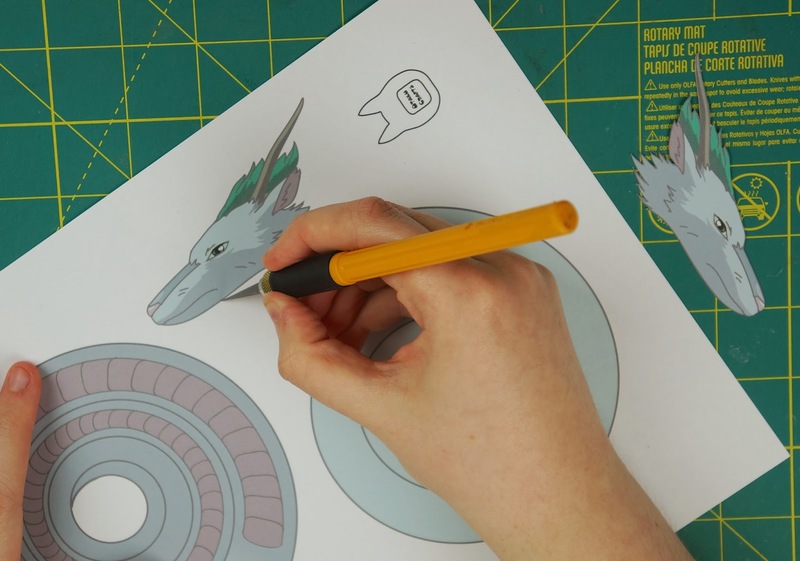 When you have the mane completely glued on, take your hole punch and punch a hole into the middle front part of Haku's mane. Then cut some ribbon or string and thread it through the hole and tie the two ends together. 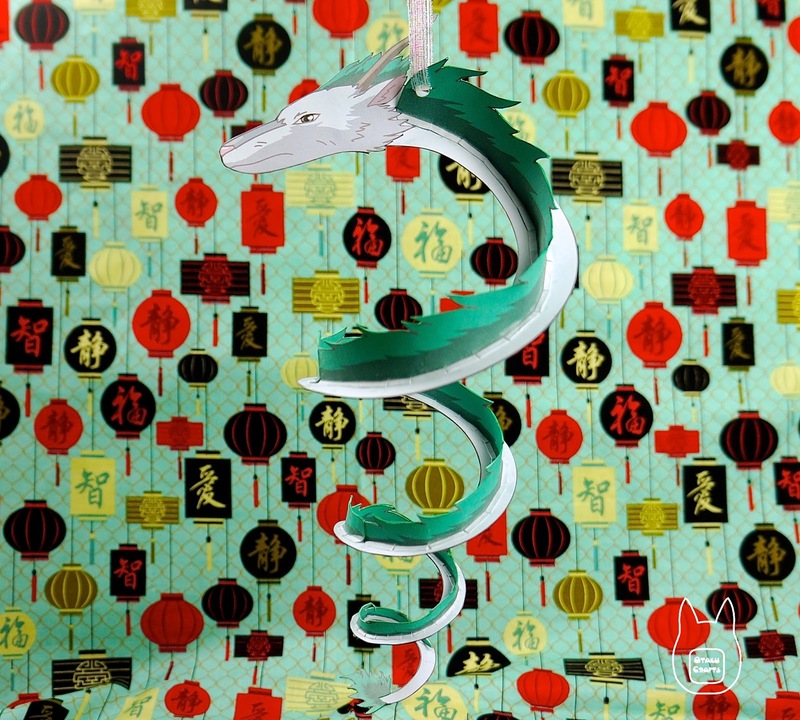 There you have your finished dragon Haku ornament! It seems to be working again but if it still doesn't work for you I can upload it a different way for you to download it. This is really nice! I have just printed him. 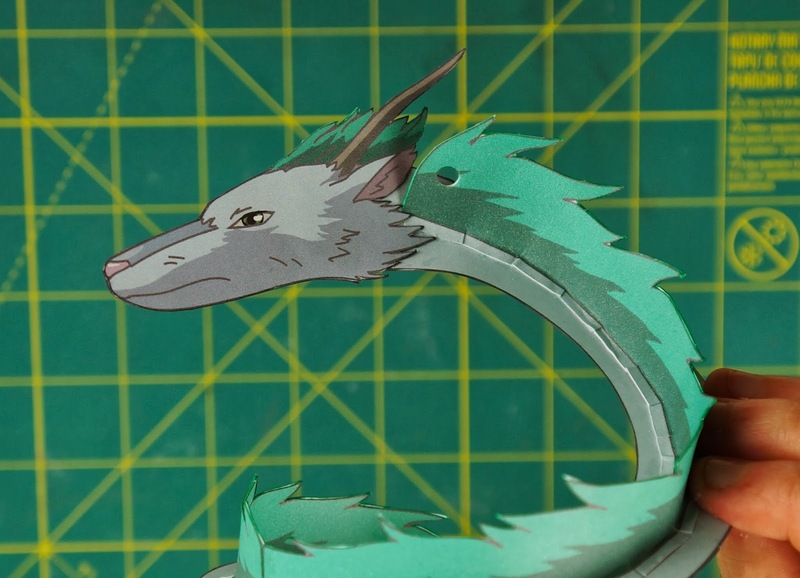 He is my favourite character in Spirited Away. I have watched the movie 8 times this year! I am planning to watch it in Japanese with English subtitles next! I just completed this project and the directions were so easy to follow! Thank you times a million for this post and the free template! My daughter is a huge Studio Ghibli fan and I made this as a gift for her, I cant wait to see her face when she opens the box and finds this!! !